It cannot even be felt except within a single person’s subjective experience. This points to the fact that pain is not inherent in any object or experience. Instead it is a post hoc designation; a label that the mind marks a given stimulus withal. Take a rusty nail: this implement is can implicate itself in a painful relationship, but the nail itself is not painful. In a hypothetical sequence of events, first the nail meets an unsuspecting foot. Then the sayd foot sends a stimulus up the afferent neuron to the spine (where hopefully the reflex-arc quickly responds to unweight the afflicted foot). Eventually this information reaches the brain. Here the brain evaluates the essentially indifferent stimulus. If the brain perceives a threat, pain arises—not before! Finally, if we know anything about rusty nails, we figuratively “impale” ourselves upon a second nail simply with the anxiety that likely follows hard upon the actual event (i.e. the cogitative fallout that likely ensues from the imagined prospect of tetanus—uncontrollable muscle-spasms, lock-jaw, mortality, etc…). Hence, one essentially painless nail compounds manyfold into several painful ones in our subjective experience. The better we can understand that pain is not a solid object but rather the brain’s interpretation of a given nervous stimulus, the better able we will be to stand with it, obliging it but, not obliged by it, ser autores de nuestras mismas obras. I don’t know yet what I’ll write for the final installment in this series but I’ll try to think of something. In the mean time, the Traveling Rolfer is back in business. 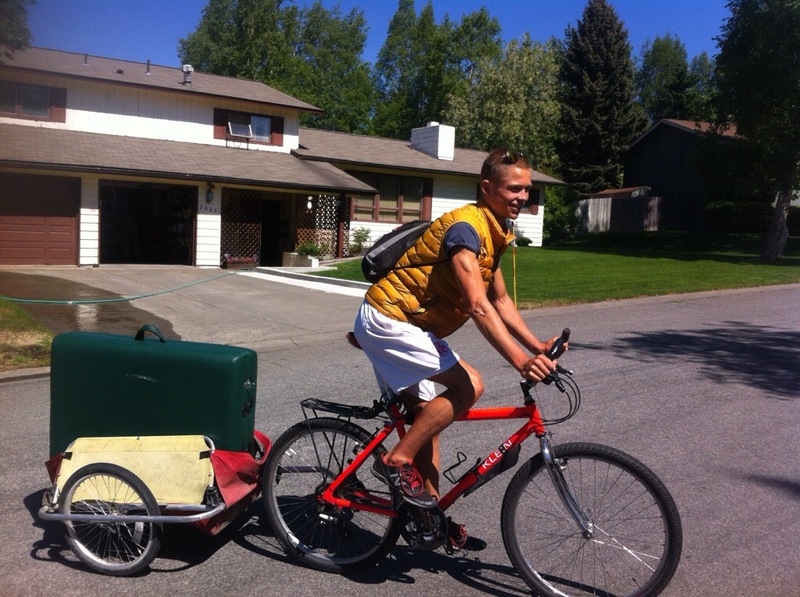 Get in touch to schedule a session & I’ll show up at your front door with the massage-table in the old Burley bike-trailer (provided the weather is reasonable). You don’t even have to get out of your pajamas!